We make butter cream and fondant cakes. There are endless flavors of cakes, frosting and fillings combinations. Check out all the tasty possibilities. You can read more about our handmade fondant on our blog. Each cake is custom-designed to fit your occasion or theme. We create everything from classic birthday cakes to elaborately decorated cakes including single tier, multiple tier, or 3D shapes. Pricing is based on the number of servings and the design. Most 3D carved cakes start at $400. Our cakes do travel. (We’ve been known to transport them up to 2 hours away!) Delivery charges start at $25 for Ann Arbor. All other areas start at $2.00 per mile. 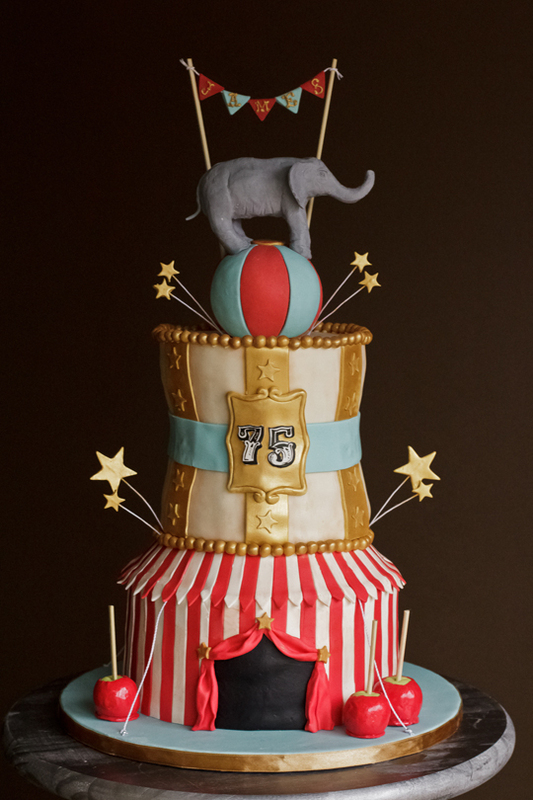 Call us at 734.761.7255 and let us know you’re interested in a custom celebration cake. Sometimes we can do it all over the phone or we may set up a cake consultation at the Bakehouse to plan your cake. It’s never too early to book your cake. Simpler cakes can be ordered with at least 72 hours notice. More decorated and detailed cakes may require weeks or months advance notice. We’re sorry. We are booked for detailed custom cake work until November of 2018. Cakes with less detailed decorations are still available. Give us a call to discuss your options ! We ask a 25% deposit on all custom cakes. With enough notice we can bake wheat-free, dairy-free, or egg-free cakes. We do not currently have a vegan or sugar-free cake to offer.